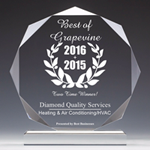 Diamond Quality Services is proud to serve the Coppell community! About Coppell, TX - Happy to be your hometown Heating & Air Conditioning Contractor! The city of Coppell is located in Dallas County, Texas, approximately twenty miles north of the Dallas/Fort Worth Metroplex. 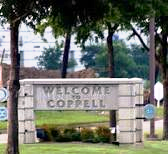 Coppell is home to approximately 38,000 residents who enjoy the city’s convenient proximity to the considerable amenities of the Dallas/Fort Worth area, as well as the pleasant temperate climate that graces the region with hot summers, warm winters, and lovely mild weather during spring and fall. City amenities include a superb Parks and Recreation Department, Coppell Aquatic & Recreation Center, and Coppell Community Gardens. Outdoor lovers will enjoy a visit to the Coppell Nature Park, a 66-acre expanse of natural parkland located within Wagon Wheel Park that is home to hawks, coyotes, bobcats, and more than 130 different species of birds. Patrons of the arts can attend performances of music, theater, and dance at Theatre Coppell, an intimate 124-seat performing arts facility that features seating on three sides of the stage. Coppell is served by major transportation routes I-635, I-35E, US Hwy 161, State Hwy 121, the Sam Rayburn Tollway, and President George Bush Turnpike. Located just 5 miles from Dallas-Ft. Worth International Airport and 15 miles from Dallas Love Field, the city of Coppell is easily accessible to anywhere in the world!